MUNDELEIN, IL--(Marketwire - November 25, 2008) - With medical evidence indicating that shaving a surgical incision site increases the risk of postoperative infection (1), Medline Industries, Inc., announced today the first single-use disposable MediClip Sterile O.R. Clipper to assist hospitals in becoming 100% razor free. Most surgical site infections are caused when the patient's own normal flora enters the body through the incision (2). Published research indicates that unseen razor injuries may release bacteria into the surgical site (1), leading many patient safety and healthcare quality organizations such as the Institute for Healthcare Improvement to recommend that hospitals and surgical centers remove all razors from operating rooms and supply areas (3). "This new product represents an exciting and significant development for the MediClip line, and it was developed by listening to clinicians and understanding their needs for fighting surgical site infections," said Alecia Cooper, M.B.A., R.N., C.N.O.R., senior vice president of clinical services marketing for Medline. "Our customers told us about situations where they had clipped someone in the perioperative area, but once in the suite, the surgeon had determined that the surgical site needed to be expanded. Until this sterile clipper, their only option has been to use a sterile shave prep tray, reintroducing the use of a razor and risking microscopic skin abrasions that can lead to surgical site infections." The new sterile surgical clipper has an ergonomic handle designed to be held at a 30-degree angle so the clipper is flat against the patient's skin. The result is a clipping technique where the moving blades on top are kept from contacting the skin, reducing the chance of nicking if there is a raise in the skin itself. Creating a new standalone sterile single-use disposable clipper is just one of several new innovations in the MediClip product line to help reduce surgical site infections and eliminate razor use. 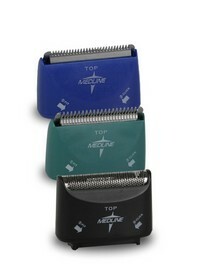 Medline's non-sterile clipper, which also has an ergonomic handle for 30-degree clipping, has been redesigned to incorporate just-in-time educational graphics that reinforce the use of this safer technique. It also charges magnetically, eliminating surface engravings and other exposed metal charging areas where grime could build-up and potentially harbor bacteria. Medline has also developed a close-shave foil head attachment for clinicians (such as neurosurgeons) who still want a completely smooth surface not achievable with a regular clipper blade. Similar to a consumer face shaver blade, the foil used in conjunction with either MediClip's regular universal blade or coarse hair blade provides a smooth shave without the risk of nicking that a razor might cause. 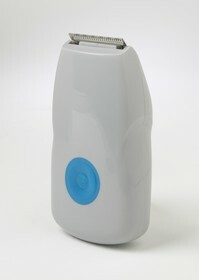 With many healthcare providers striving to remove razors from the entire hospital, the attachment can also be used for patients on the floors, such as in the ICU, to shave face stubble. All three of the blade attachments use the same MediClip handle, which also has a hands-free release feature allowing the user to detach the single-use clipper blades without ever touching them. Medline, headquartered in Mundelein, IL, manufactures and distributes more than 100,000 products to hospitals, extended care facilities, surgery centers, home care dealers and agencies and other markets. Total revenue for Medline in 2007 exceeded $2.86 billion. Meeting national and international quality standards, Medline is FDA QSR compliant and ISO 13485 certified. Medline serves on major industry quality committees to develop guidelines and standards for medical product use, including the FDA Midwest Steering Committee, AAMI Sterilization and Packaging Committee, and various ASTM committees. For more information on Medline, visit our Web site, www.medline.com. (2) Odom-forren, Jan, RN, CPAN, MS, FAAN. Preventing Surgical Site Infections. Nursing2006 36 (2006): 59-63. (3) "Avoid Shaving Operative Site." Institute for Healthcare Improvement. Nov. 2008 www.ihi.org. Medline's a close-shave foil head blade (black attachment) can be used in conjunction with either MediClip's regular universal blade or coarse hair blade to provide a smooth shave without the risk of nicking that a razor might cause. Watch a demonstration of Medline's MediClip Surgical Clipper 30-degree clipping technique and see an overview of its blade attachments (4:25). Medline's MediClip Sterile O.R. Clipper, the first single-use disposable surgical clipper, has an ergonomic handle designed to be held at a 30-degree angle so the clipper is flat against the patient's skin.